Since Hawaii is only one of two states with no legalized gambling, it's a safe bet that we'll hear more proposals to bolster the economy and reap new tax revenues through casinos, lotteries or some other form of licensed gaming. This week the "Price of Paradise" asks: Would legal gambling in Hawaii be an economic boon or a costly bust? Would legalizing gambling help Hawaii or hurt it? Would it mean new jobs, more tourism and a fatter state budget, or would its social costs outweigh any gains? Who: Guests: Ira Rohter, Green Party representative on the Hawaii Coalition Against Legalized Gambling, and Jim Boersema, a local marketing executive who worked on a recent proposal for a casino at Ko Olina. Host: John Flanagan. Join in: Call 296-1420 or toll-free from the neighbor islands, 1-866-400-1420 during the show. Cell phones: Star-1420 or Pound-1420. FOR SEVERAL years, as Hawaii legislators struggled to balance the budget, mainland lobbyists have worked to bring a lottery, casino or shipboard gambling to the islands. Distributing slick, colored handouts or making presentations behind closed doors, they portray themselves as saviors of Hawaii's troubled economy. They buy newspaper, radio and television ads, hire paid petition-gatherers and pitch using gambling receipts to fund education or elderly care. Shipboard and casino lobbyists dangle before revenue-hungry legislators claims of enormous economic benefits, bountiful state tax revenues, creation of thousands of jobs and an "economic boom for all sectors." To be blunt, these industry-generated numbers and studies are pure shibai. Academic or objective research and the findings of the National Gambling Impact Study Commission indicate most of them are significantly biased in favor of gambling interests. Their well-funded campaigns ignore the fact that offshore casino operators siphon away revenues from locally owned small businesses. They also don't tell you that, for their casinos to be profitable, most revenues will come from residents, not tourists. Florida's Department of Commerce determined, for example, that "casino gambling would not be of economic benefit to the state of Florida. There is sufficient evidence that gambling would be a counter-productive economic development strategy, one that is unlikely to help -- and instead may harm -- the state's tourism industry and other economic development efforts. "The nature of Florida tourism and its markets is such that casino gambling would not attract significant numbers of new visitors. In fact, a reasonable concern exists that perceptions of the less desirable aspects of casino gambling might diminish Florida's favorable overall image for tourism and economic development." The department concluded, "Instead of drawing additional economic activity to the state, casino gambling would bring about shifts in where and how discretionary income is spent within the state." Nor do industry lobbyists talk about the horrendous social problems caused by gambling. Research shows we can anticipate the number of addicted and problem gamblers in Hawaii would double if casinos opened here. What's more, gambling would cost Hawaii taxpayers dearly in terms of increased crime, business and employment costs, social service costs, government regulatory costs, family costs and money diverted from normal consumption to pay off gambling debt. One academic study found that for every dollar of state gambling tax revenue collected, Illinois taxpayers paid $3 to remedy gambling-associated social problems. Florida's Department of Commerce estimated the tax imbalance would be closer to 6-to-1 when all social costs were factored in. If one applies the most recent and comprehensive study of these costs to Hawaii, done in 2001 by Grinols & Mustard, we could anticipate annual social costs between $164 million and $177 million. This kind of solid evidence prompted major Hawaii business organizations, such as the Banking Association and Chamber of Commerce, and top island economists Leroy Laney and David McClain, to oppose gambling here. It's clear why gambling lobbyists duck open debates with knowledgeable opponents and why they opposed a comprehensive and objectively managed professional study for the Legislature on the full social and economics costs and benefits of gambling. >> Lotteries do not, in the end, increase the total amount spent on education. Most states substitute lottery revenue for money that would otherwise have been spent from their general funds. >> Lotteries are a highly regressive form of taxation. According to the bipartisan National Gambling Impact Study, only 20 percent of the population -- a disproportionately poor, elderly, non-white and least-educated 20 percent -- buy 82 percent of lottery tickets. >> Lotteries put states into the gambling business. To combat inevitable flagging sales, virtually every state with a lottery has reconfigured and hyped it, increasing the number of drawings, boosting the size of the jackpot, offering more sites to buy tickets and increasing advertising. Finally, generous campaign contributions and perks are commonplace ways to influence lawmakers to support gambling interests. Do we need more opportunities for political corruption in Hawaii? Ira Rohter is a professor of political science at the University of Hawaii-Manoa and represents the Green Party on the Hawaii Coalition Against Legalized Gambling. 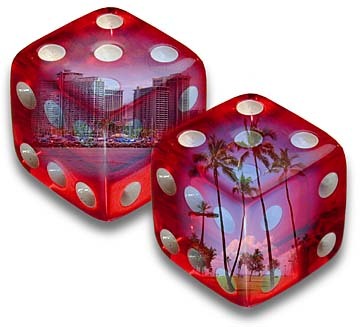 WOULD legalized gambling be good or bad for Hawaii's economy? We've debated this question for years without resolution. Both sides have presented an array of statistics to bolster their arguments. Those in favor cite job growth and increased revenue. Those opposed claim social costs outweigh any economic benefits. Both sides refer to studies and polls supporting their sides of the debate. Nearly everyone in Hawaii agrees our economy needs an overhaul. Its bright spots, such as the current housing market, are exceptions. The Star-Bulletin reported last summer that a U.S. Conference of Mayors study of economic growth in the decade ending in 2001 ranked Honolulu dead last, compared to 318 other metropolitan areas. Like all studies, this one is probably imperfect, but few in business here would argue that, compared to the rest of the nation, Hawaii has long been near the bottom in economic growth. GIVEN that changes must be made, I believe our leaders must explore all alternatives -- high tech, medical research and wellness centers, new forms of agriculture, international conferencing and, yes, legalized gambling. Gambling won't turn our economy around by itself but, done correctly, it could make a positive contribution. That's the key -- doing it right. For example, a state lottery is probably not the way to go. Lotteries create few jobs and bring little, if any, new revenue into a marketplace. What might work for Hawaii? Shipboard gambling, allowing cruise ships to operate casinos outside of Hawaiian waters but not in port, could boost our economy. Ships undoubtedly would hire some local residents and buy from local vendors. Norwegian Cruise Lines now provides a quality cruise experience from the islands, but it could do better if allowed to operate casinos outside of Hawaiian waters. Such a policy could attract other cruise lines to an island home base. Today, with Hawaii's strict no-gambling approach, we are only a small player while the rest of the world enjoys a cruise-ship boom. A select number of land-based casinos might help our economy, also. The National Gambling Impact Study Commission of several years ago stated, "Casino gambling has demonstrated the ability to generate economic development through the creation of quality jobs," and "destination resorts create more and better quality jobs than casinos catering to a local clientele." Hawaii is certainly a resort destination. Through legislation and by contract we can guarantee casino gambling will make a positive impact on our economy without our becoming dependent upon it. >> Spend at least $500 million on facilities improving our overall visitor base, such as luxury hotels or a world-class aquarium, which could generate tens of millions in tax revenues. >> Create no fewer than 5,000 permanent new jobs for local residents. >> Pay an upfront licensing fee as soon as approval is granted. For example, a $100 million licensing fee could be used to construct the new University of Hawaii medical school. >> Agree to an annual gaming tax that could guarantee another $40-$50 million per year. >> Agree to use local vendors and suppliers whenever possible. Other provisions could limit potential harm, such as a 10-year sunshine period allowing the Legislature to close the casino if it chooses -- sufficient time to judge both economic and social costs while allowing developers to earn back their investment. By offering a set number of licenses on a competitive basis, Hawaii could limit the expansion of gambling while awarding licenses to corporations that offer the best bargain. Other states, such as Connecticut, have used similar legislation effectively. FEARS that Hawaii will become a gambling destination with dozens of casinos like Las Vegas are overblown. Three-quarters of Americans live within a four-hour drive of a casino; China and Korea recently expanded their gambling resorts; and Mexico and Thailand have just legalized casino gambling, while Japan's parliament is expected to follow suit within six months. There's no reason to travel to Hawaii to gamble. Visitors will still come for our weather, culture and natural beauty. Casinos would be just another entertainment activity. We won't know gambling's impact on Hawaii until we try it. We know our economy is not strong. We know we're losing talented young people. We know many families work multiple jobs to make ends meet. We know crime is on the rise. We know personal and business bankruptcies have been among the nation's highest for years. We know we have to make changes. We should explore every possibility to improve our economy, and that includes gambling. Jim Boersema is a partner with Starr Seigle Communications. 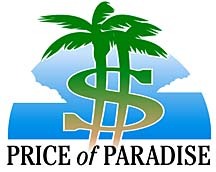 The Price of Paradise appears each week in the Sunday Insight section. The mission of POP is to contribute lively and informed dialog about public issues, particularly those having to do with our pocketbooks. Reader responses appear later in the week. If you have thoughts to share about today's POP articles, please send them, with your name and daytime phone number, to pop@starbulletin.com, or write to Price of Paradise, Honolulu Star-Bulletin, 7 Waterfront Plaza, Suite 210, 500 Ala Moana, Honolulu, HI 96813.